Today, most people need Wi-Fi access for their works, researches and communications. Therefore, the WG-500P offers you a robust and secure hotspot solution which is just perfect for the mini size venues such as café/ airport lounge/ store or shop. 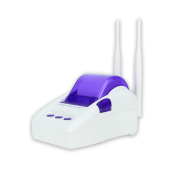 The WG-500P provide customizable billing profiles and internet access with time limit control which is based on our billing management. The WG-500P can help to promote your products, services and satisfy your customers. With its user friendly design, venues owners can easily train their staffs to operate the gateway and print out the account ticket to access Internet for their customers. The WG-500P can be used as a standalone authentication gateway to monitor and control Internet access while guests/visitors are visiting. The features of WG-500P support web-based authentication and management tool and marketing cooperation such as walled gardens, an internal portal page, and external portal page redirection. It also offers bandwidth and billing management.